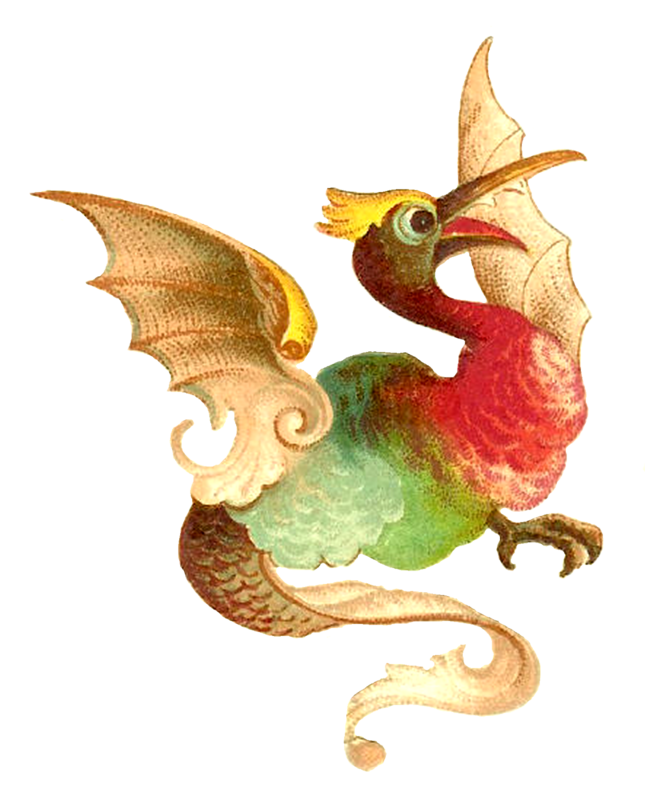 When I first discovered this little Victorian scrap in one of my scrapbooks, I instantly thought this dragon clip art would make an awesome tattoo. 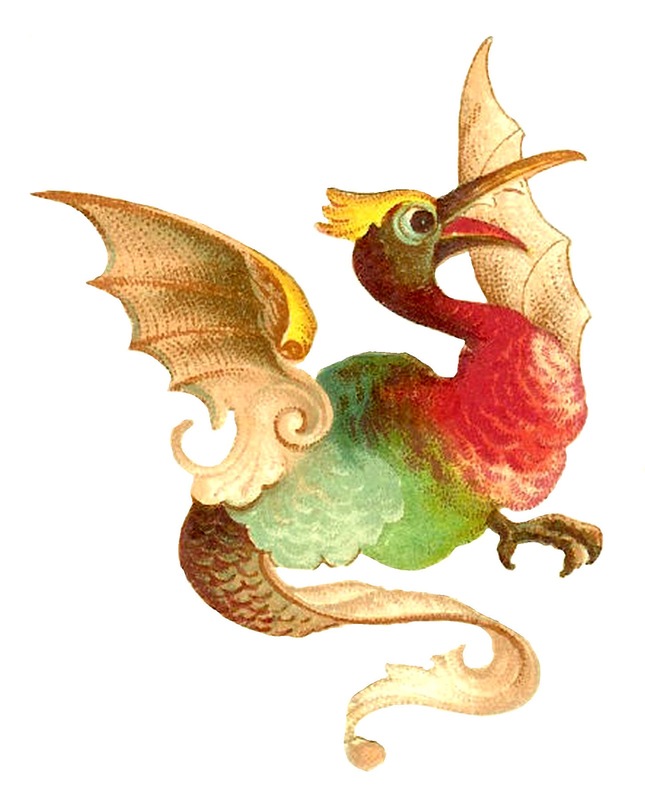 It looks like a mythical dragon, and would be so pretty as a tattoo. I love all the different colors and those seashell-looking wings of digital dragon download. With lots of creativity, I'm sure this animal clip art will be fun to use in any of your projects. I've given you both the .jpg and .png files of this dragon image. Enjoy!